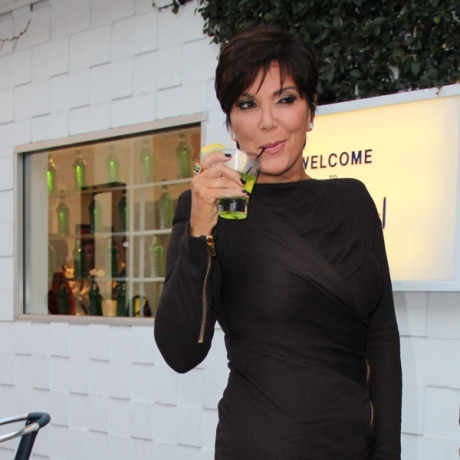 Kris Jenner is rarely seen at an event without a cocktail in her hand. The famous momager’s alcohol-fueled antics have gotten so problematic in recent months , that her six children have told her she needs to quit drinking or else. And old habits die hard. Even when she was young and married to Robert Kardashian , she was absent for long stretches of time while she partied and carried on an affair with 23 year old soccer player Todd Waterman behind her husband’s back. television show , In Touch is reporting. to Robert Karshian and her two daughters with bruce. brody is no stranger to the reality realm. upcoming season becasuse you’re going to be seeing a lot more of the Kardashian/Jenner clan!